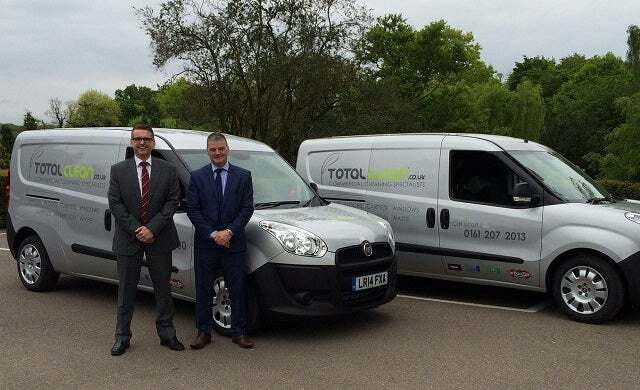 Commercial cleaning chain Total Clean has welcomed two new franchisees to its operation, following the appointment of Eric White to its Manchester territory in November. Duncan Whitehead (Blackpool) and David Grant (Warrington) are the latest recruits to join the franchise, which has been operating in the B2B marketplace sincfe 1989. All three have just finished Total Clean’s training programme and both White and Whitehead have already successfully acquired contracts with leading firms after just a couple of weeks trading. Total Clean hopes that the new franchisees will help to raise the company’s profile and result in further partnerships throughout the UK. Potential candidates must be willing to commit to a minimum five-year contract and franchise packages start at £26,995. “We give our franchise partners all the tools they need to replicate the success of our business; operating within a similar size territory to our core business and receiving a complete turnkey management franchise opportunity. For more information visit the company’s franchise section here.